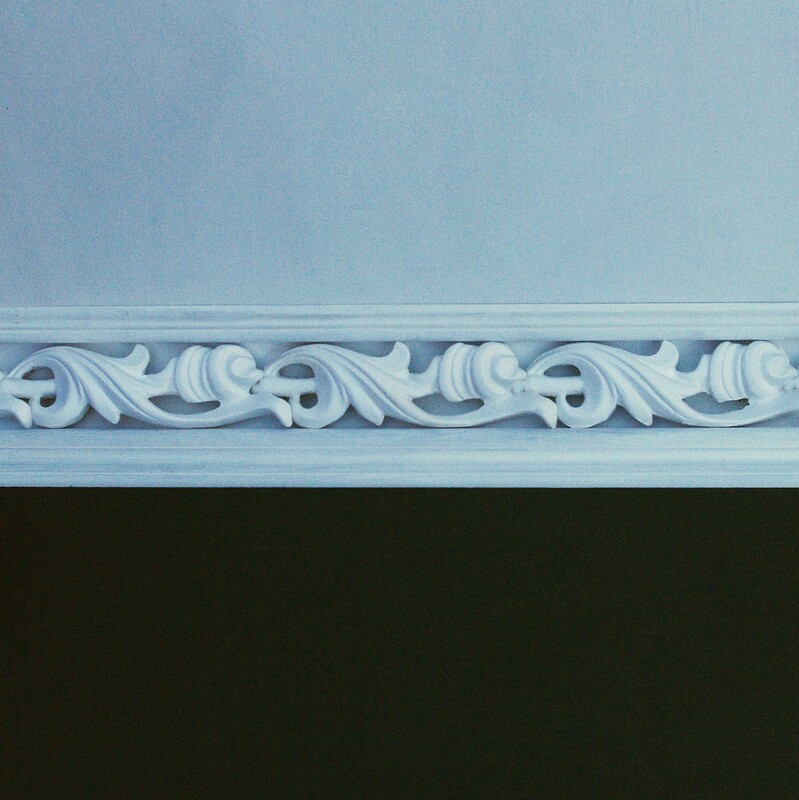 Following years of extensive research on Boston's architecture, the team at Old Boston has created reproductions of unique historical crown-molding patterns found in South End homes and photographed in historical images of Boston interiors. We chose to name each profile with the address of the home in which it was found. Larger profiles are suited to reception rooms (what today we refer to as the "parlor level"), where the ceiling height ranges from eleven to thirteen feet. Smaller, secondary rooms such as bedrooms, which are generally less than eleven feet tall, benefit from smaller profiles to look harmonious. The same parameter is valid for more enclosed spaces such as hallways and entryways. Our collection will continue to grow as we discover more uncommon profiles and recreate them for our clients. Of course you do not need to live in a historical and/or traditional Boston home to enjoy Old Boston's unique crown moldings: some of our designs, in their timeless grace and elegance, would figure perfectly in contemporary settings. And while each pattern we offer replicates or emulates an original profile, there is no limit to the creation of your own designs by combining elements from different profiles. Our experts will be happy to hear your ideas about the rooms you decide to beautify, and propose solutions that work within your budget. 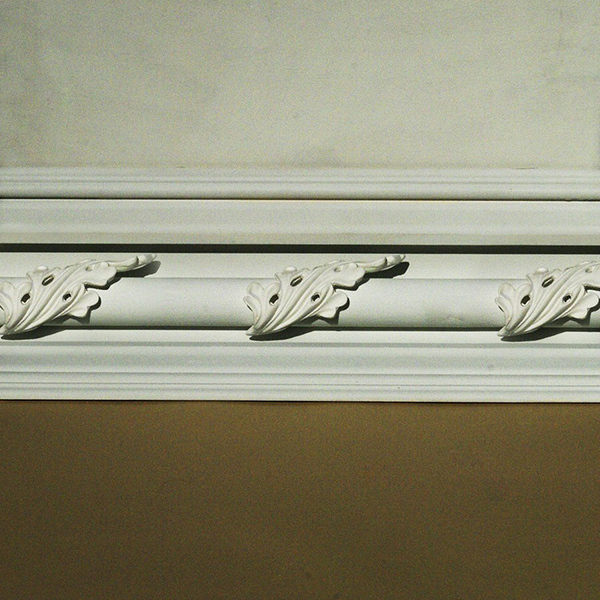 Crown moldings with decorative elements appeared in American architecture in the 1840s. 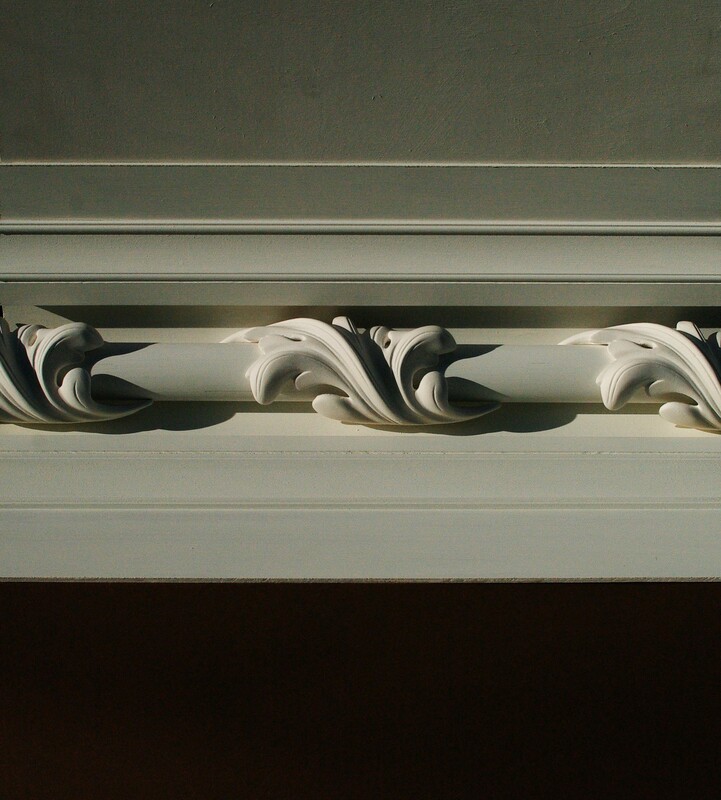 With a few exceptions, before that time simple lines were favored, with unadorned cornices that drew inspiration from Neo-classical archetypes. But the need for a home to showcase the prosperity of its owner increasingly became a priority. 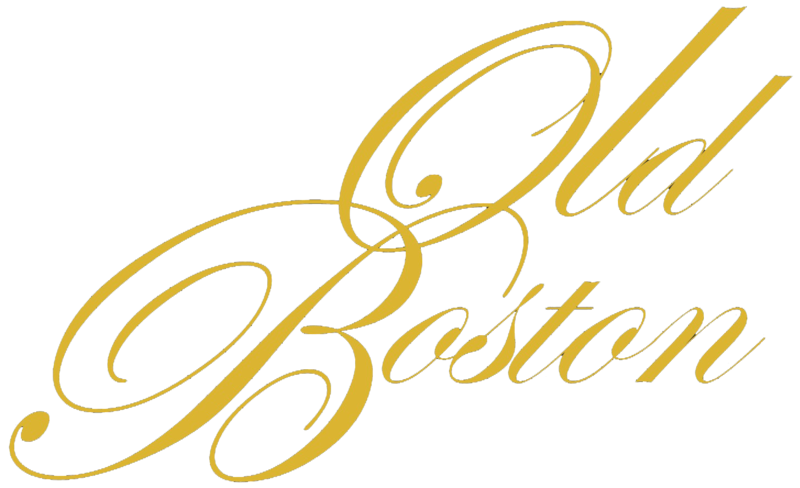 In the early 1850s, the homes built around Chester Square, Union Park, and Worcester Square, the three largest garden squares in Boston's South End, all featured more elaborate finishes than the Federal-Style homes built in the earlier part of the century. 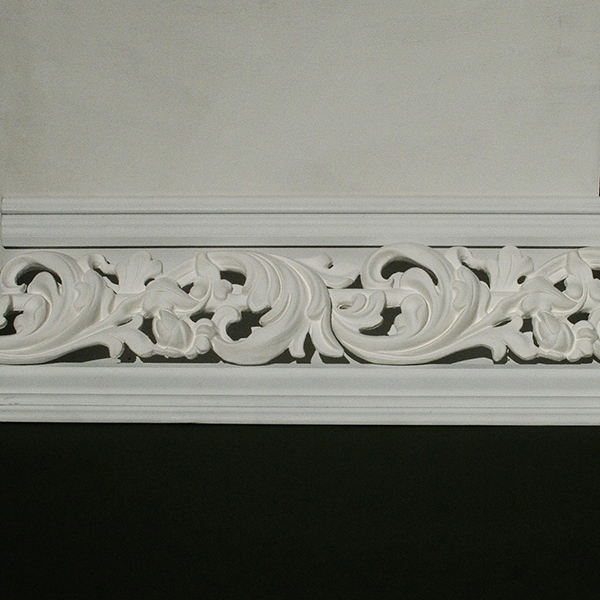 At first, the most ornate crown moldings presented simple cornices with wrap-around foliage elements. The ones at 49 Chester Square, a home purchased in 1853 by Benjamin Franklin Hallett, US District Attorney for Massachusetts, are a good example. 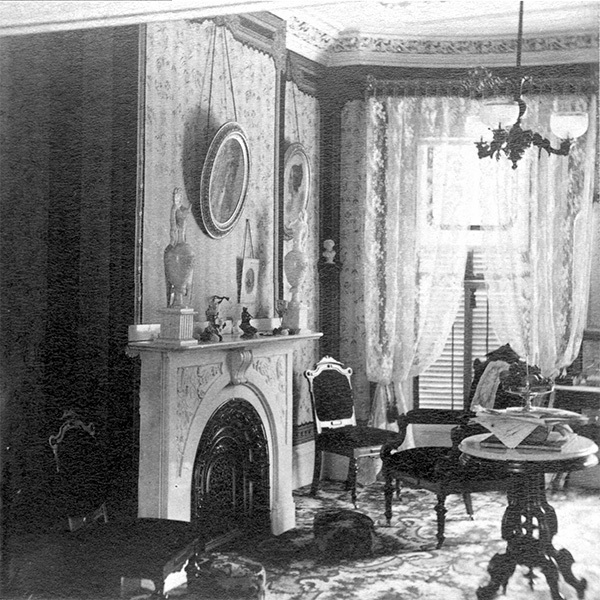 Such architectural elements were reserved to the reception rooms, while secondary rooms (family room, bedrooms, hallways) were more modest. 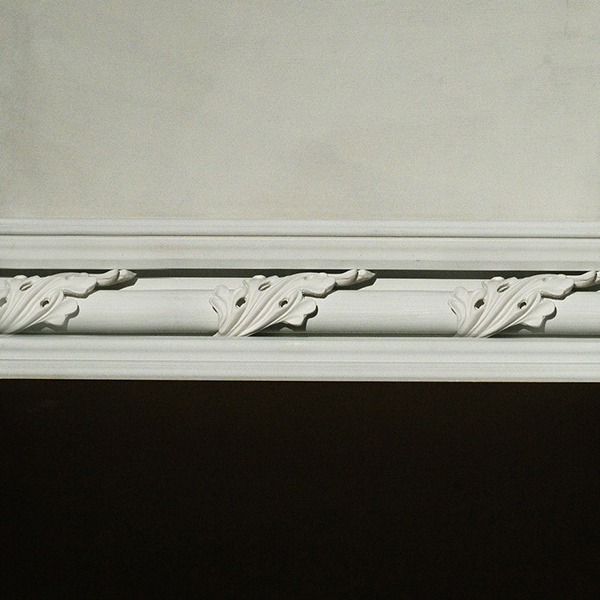 Often, the cornice in the front hallway – a simple framed cove with or without a central dowel – stopped on the second floor, where only family and close friends would have been allowed. Within a few years, to entice the affluent Bostonians who could no longer find adequate space on crowded Beacon Hill, South-End homes began to showcase luxurious finishes and intricate molding profiles in every room. 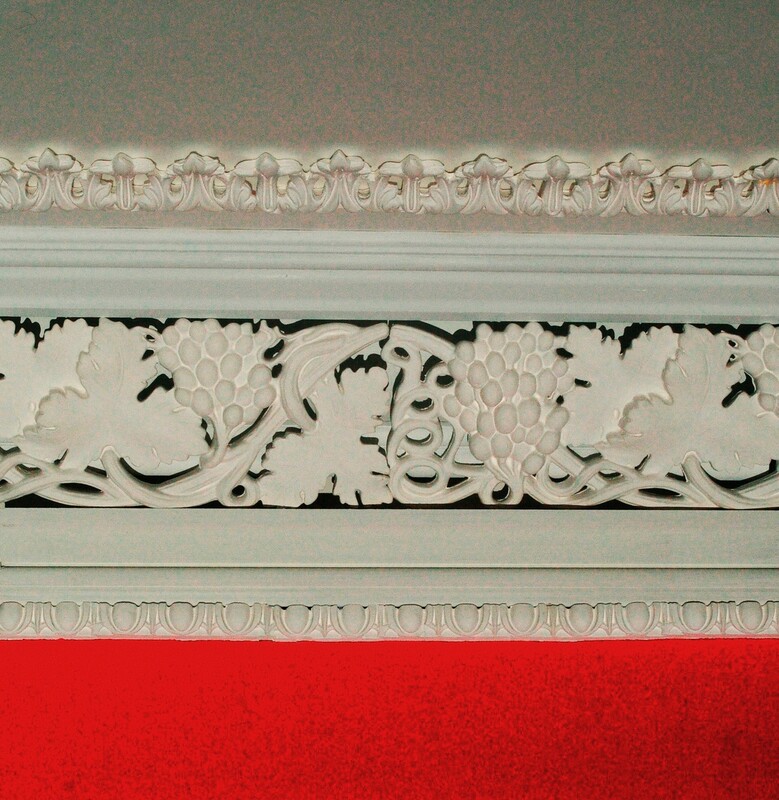 The large, sumptuous grape-and-leaf design at 52 Chester Park, a home built in the early 1860s and owned by prominent Boston banker Thomas S. Paterson, represents the height of ceiling plasterwork in upper-middle-class homes of that period.